Frito Lays has announced a recall connected to some previously recalled flour due to undeclared peanut residue. 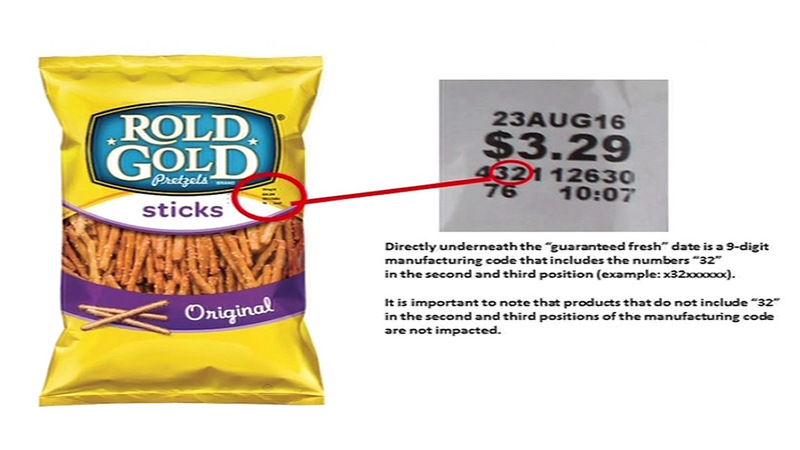 Frito Lays has removed from the store shelves Rold Gold Tiny Twists, Rold Gold Thins, Rold Gold Sticks and Rold Gold Honey Wheat pretzels due to concerns over peanut residue. Those same products are also contained in numerous multi packs also sold by Rold Gold. They all have fresh dates between June 28 through August 23 and contain the number 32 in the second and third position of its nine-digit code. Click here if you have any of these products, so you can apply for a refund.